Greetings from the Australian National University in Canberra, where I am attending a Product Development Workshop. This is the third of a series of innovation workshops run by the Kiln Incubator for Innovation ANU. The previous two were Customer Validation and Business Models. I attend a lot of "workshops" and Kiln present some of best. The instructors are skilled in their presentation technique and business experience. The workshop has short presentations, interspersed with group exercise. The instructors do not make the mistake of many of talking too much, turning a workshop into an old fashioned lecture. One of the inspiring parts of the workshop is that the materials used are licensed with a creative comments "by Attribution" open access license, so others can use them for free. For the third workshop there was a Product Design Canvas by David Peterson, Petr Adamek and Craig Davis. 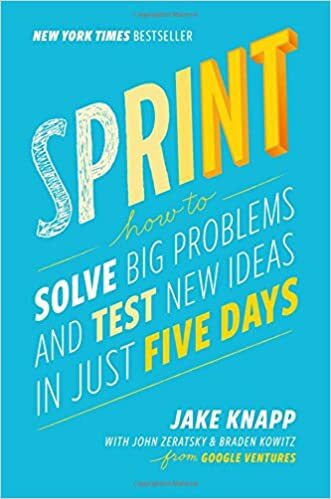 In the third workshop the a five step Design Sprint process was used and the book "Sprint: How to Solve Big Problems and Test New Ideas in Just Five Days" by Knapp was recommended.